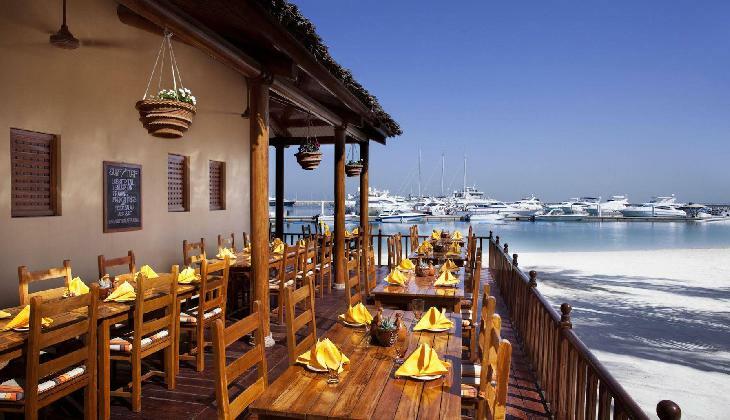 هتل جمیرا بیچ را به صورت آنلاین رزرو کنید! 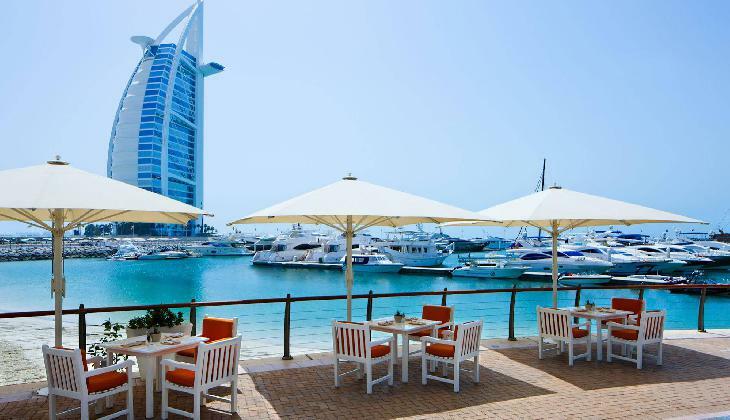 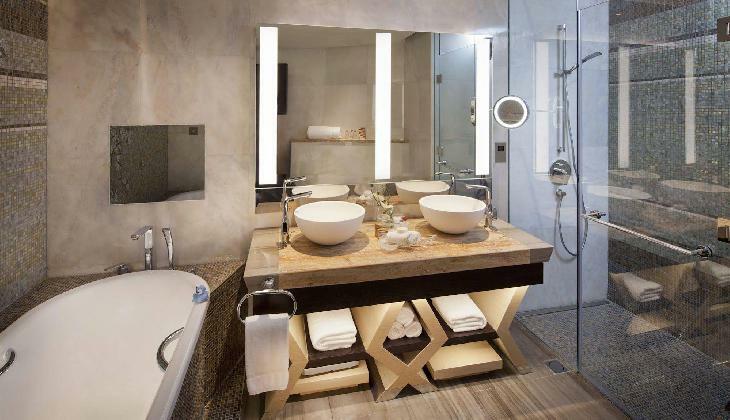 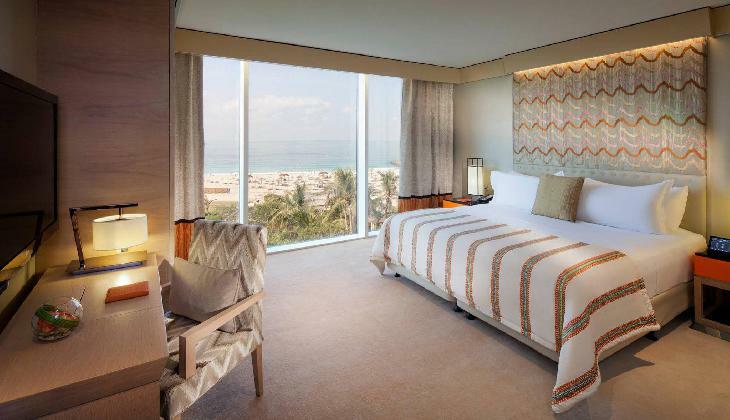 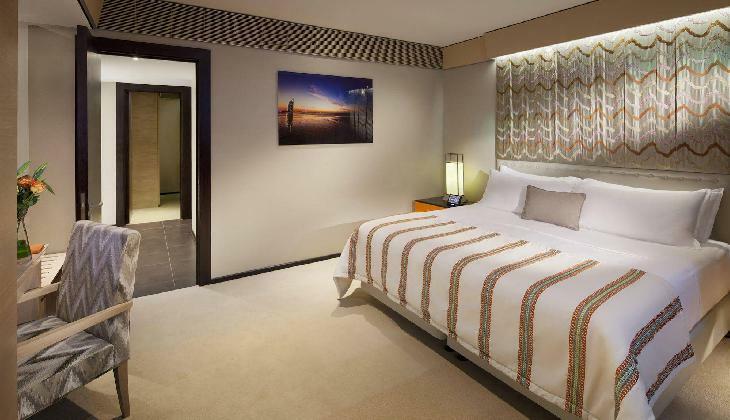 * The Jumeirah Beach Hotel in Dubai houses in it 619 wonderfully furnished rooms which are equipped with hair dryer, minibar, air conditioners, color television with satellite connection, direct dial telephones, and breakfast. 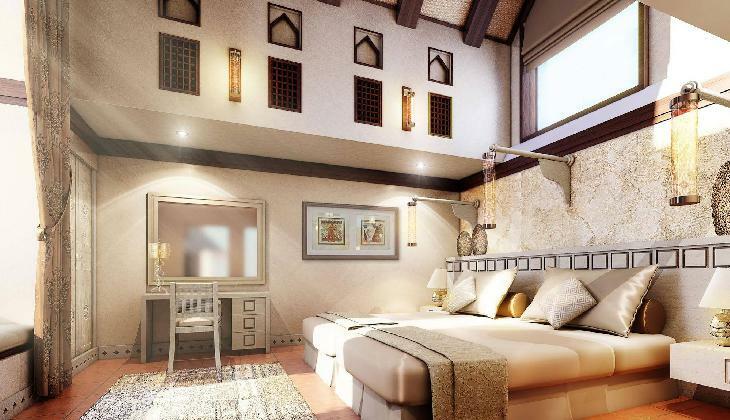 The soft wall colors of the spacious rooms are matched with the curtains. 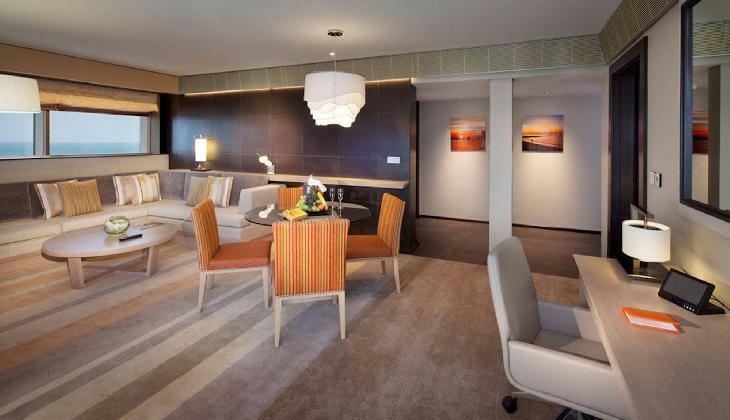 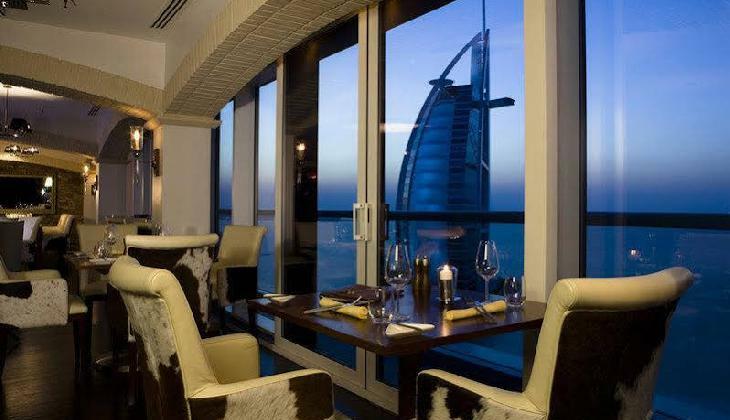 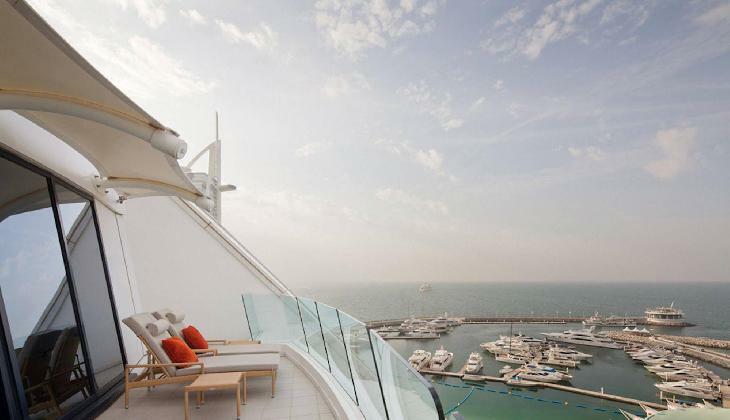 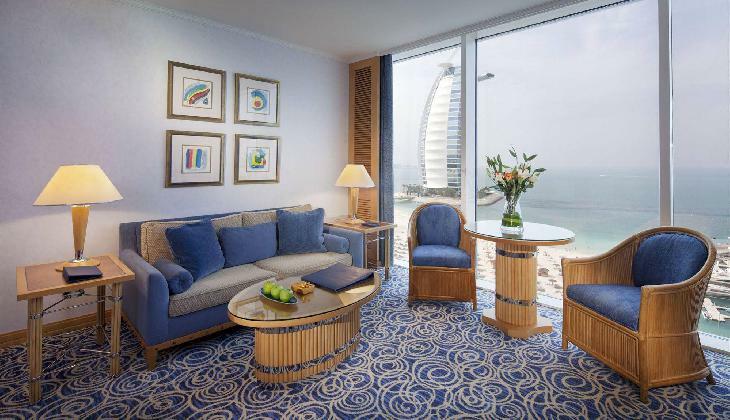 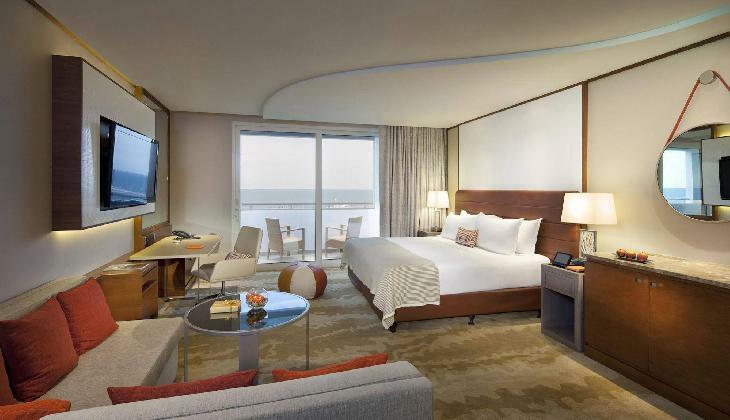 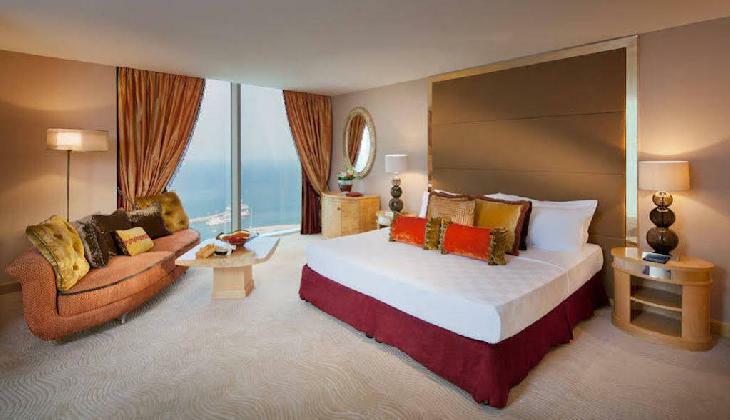 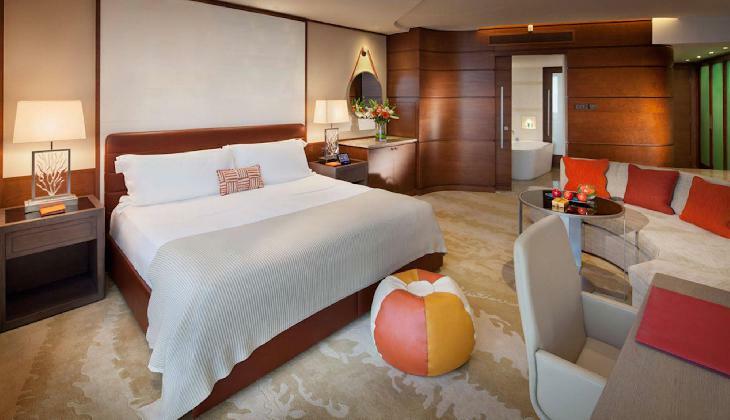 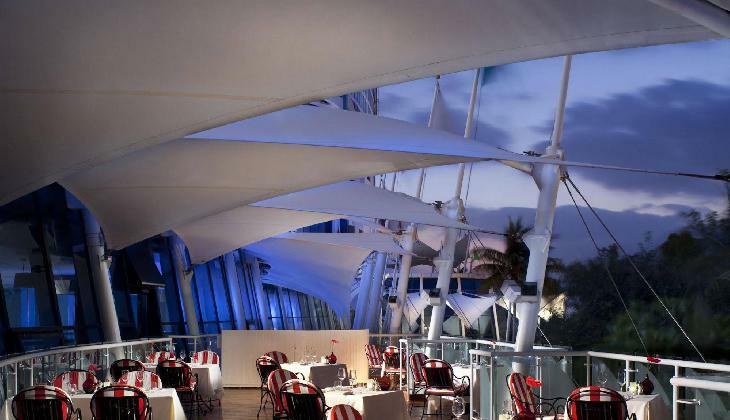 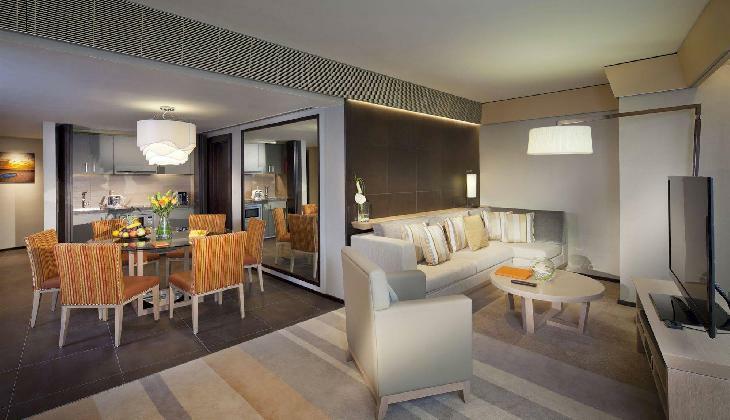 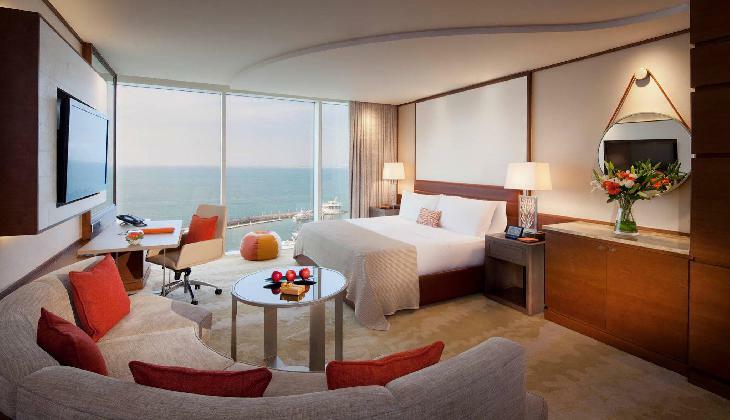 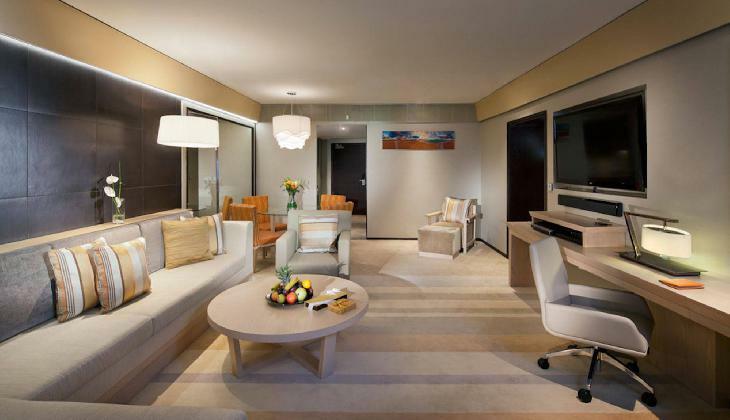 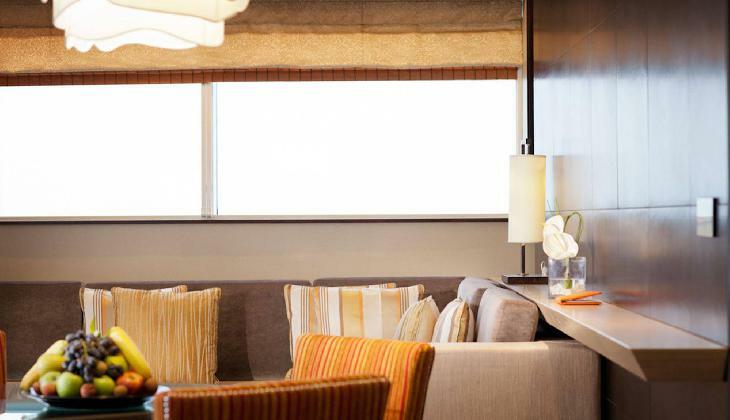 The rooms of Jumeirah Beach Hotel of Dubai give an excellent view of the Jumeira Beach and the city\'s skyline. 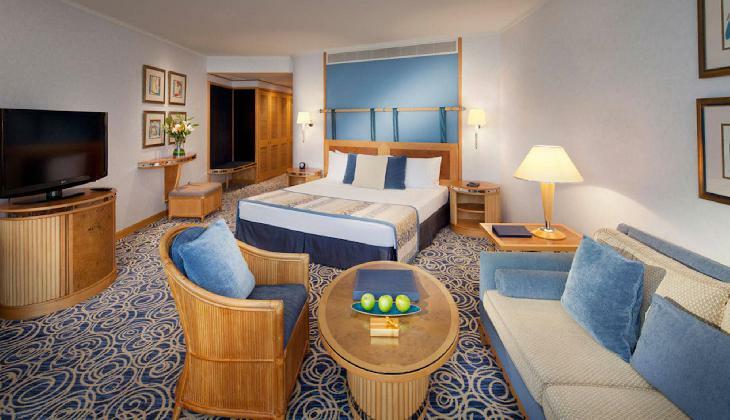 * Jumeirah Beach Hotel is situated on a private beach and has five onsite swimming pools for guests to enjoy. 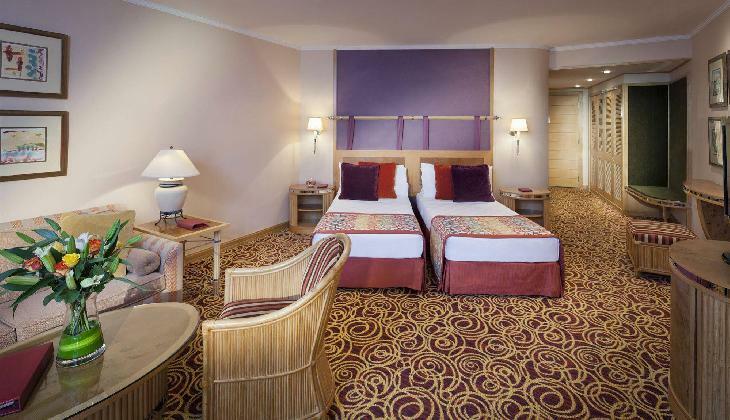 Guests also receive unlimited access to Wild Wadi Waterpark, located next to the resort. 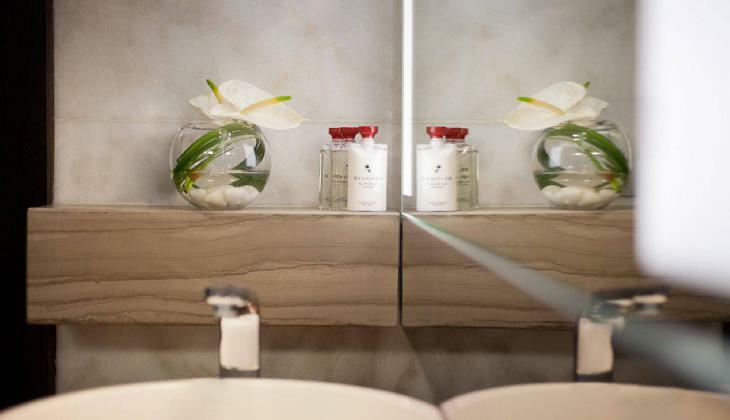 There is a sports club with fitness equipment and a spa with two saunas, two steam rooms, three hot tubs, and a plunge pool. 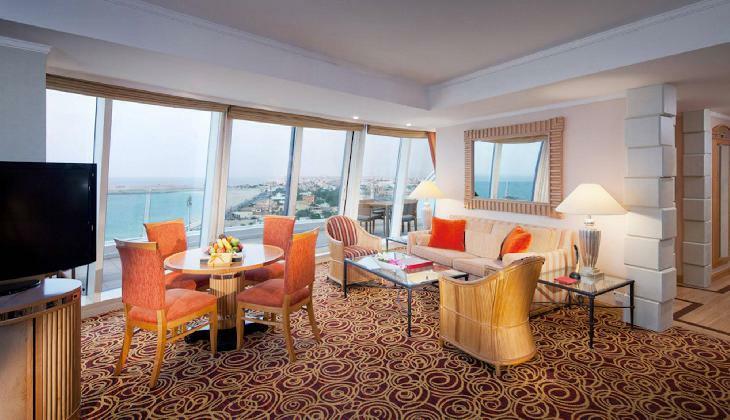 A variety of health and beauty treatments are also available. 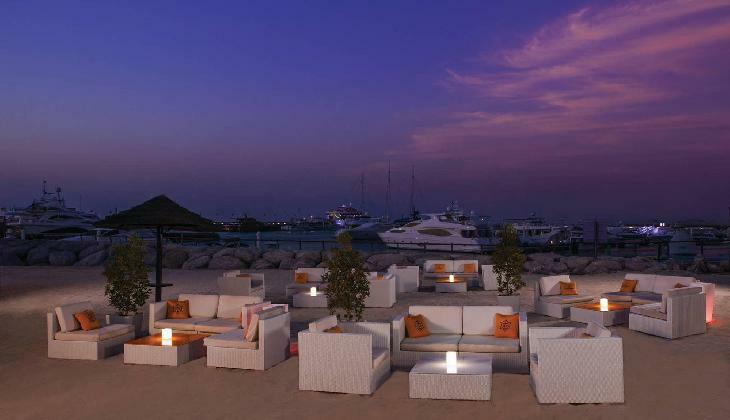 Sinbad’s kids’ club provides free entertainment for children and the Apartment Lounge+Club plays host to celebrity DJs. 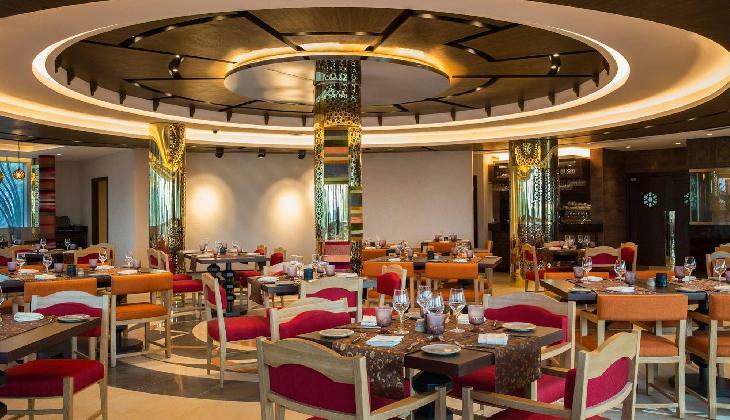 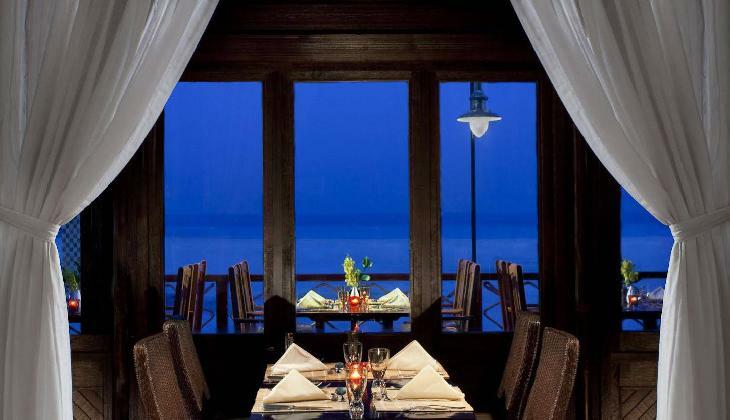 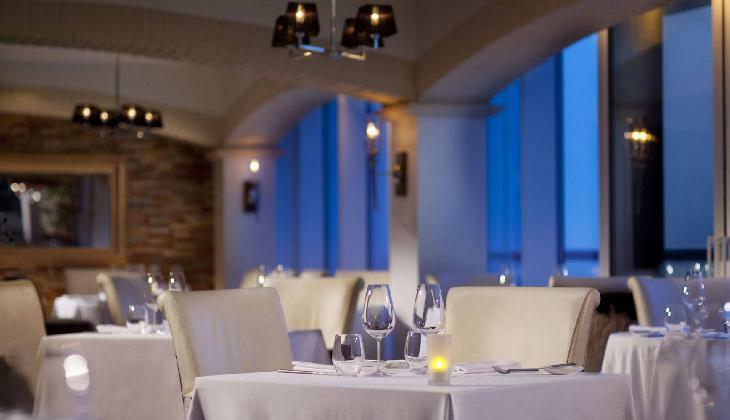 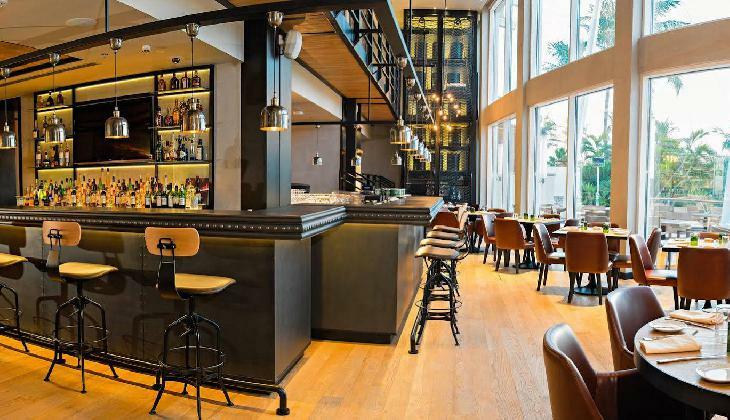 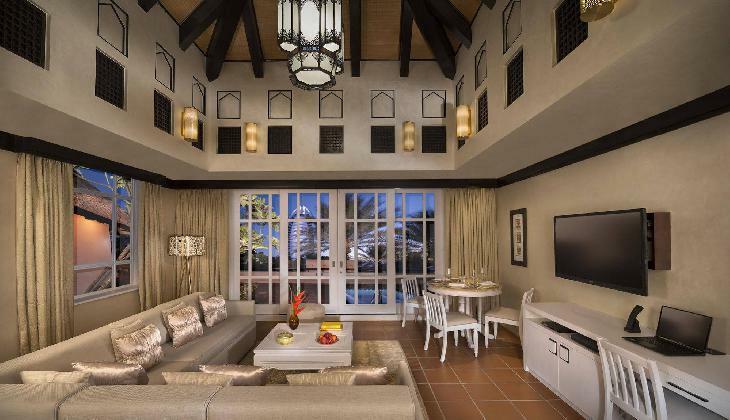 * There are a variety of dining options throughout the 22 restaurants, bars, and lounges, including German dishes at Der Keller, and Asian dishes at the beachfront restaurant, Beachcombers. 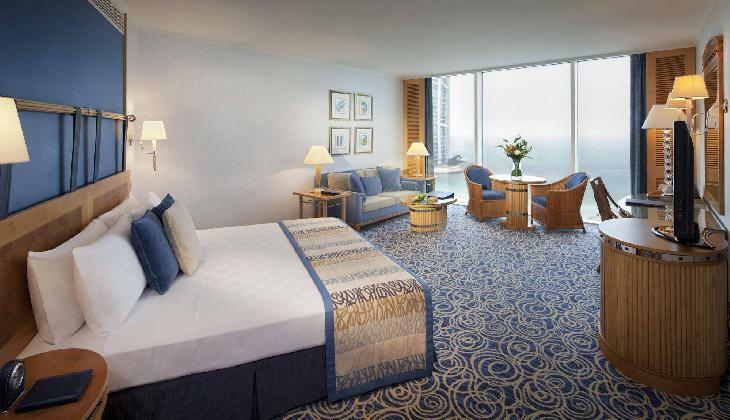 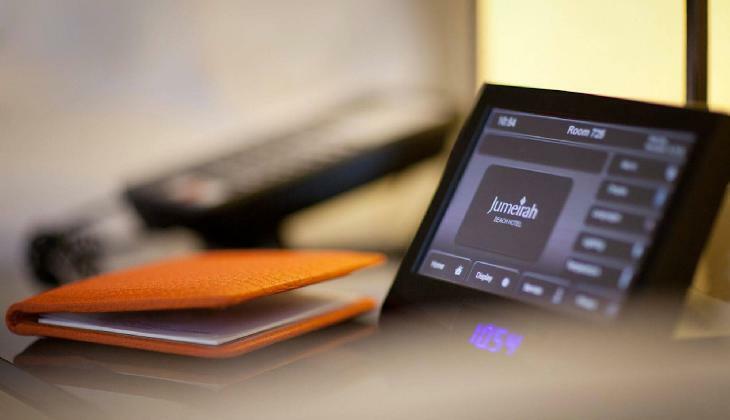 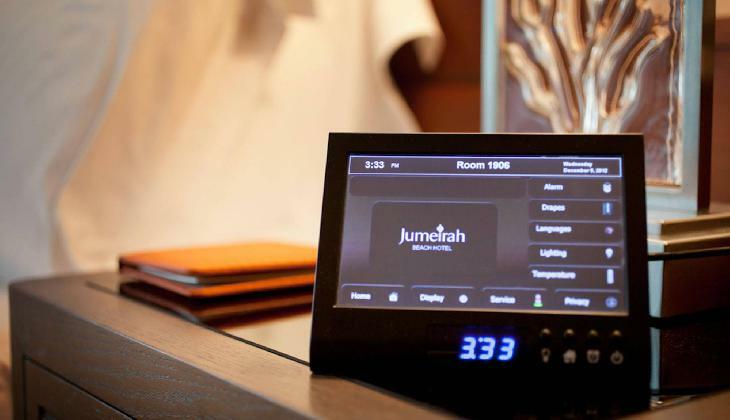 * Jumeirah Beach Hotel provides 11 seminar rooms with audio-visual equipment and parking. 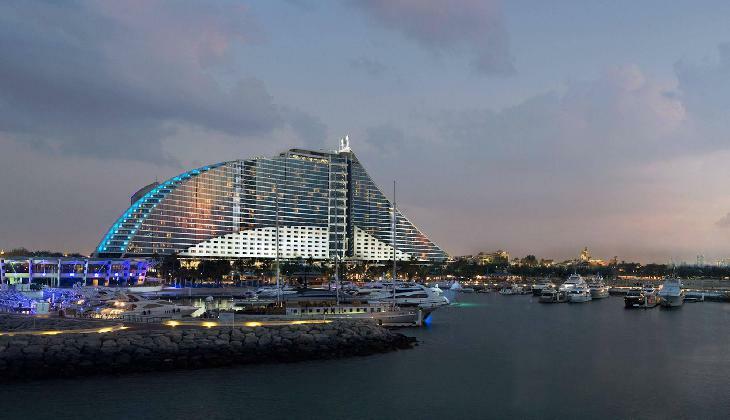 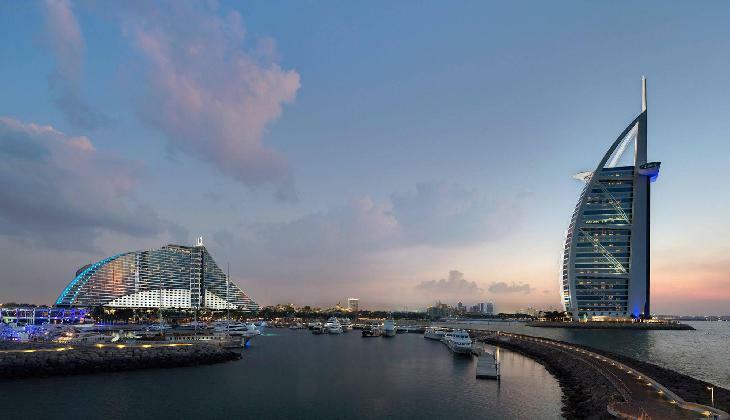 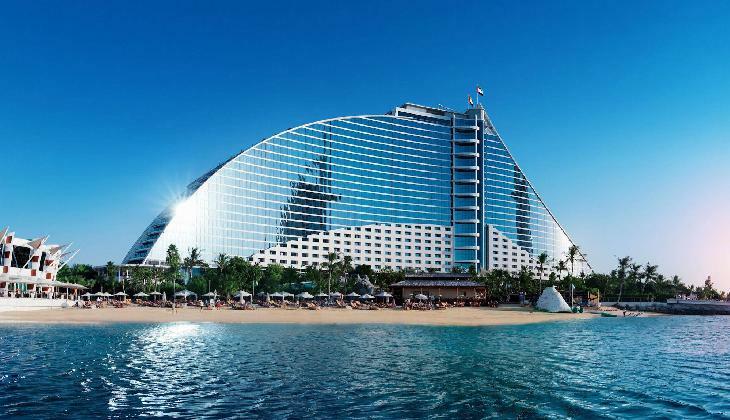 The Jumeirah Beach Hotel in Dubai is considered to be one of the most elite 5 Star Hotels in Dubai for its strategic location, excellent service and a myriad number of hotel amenities. 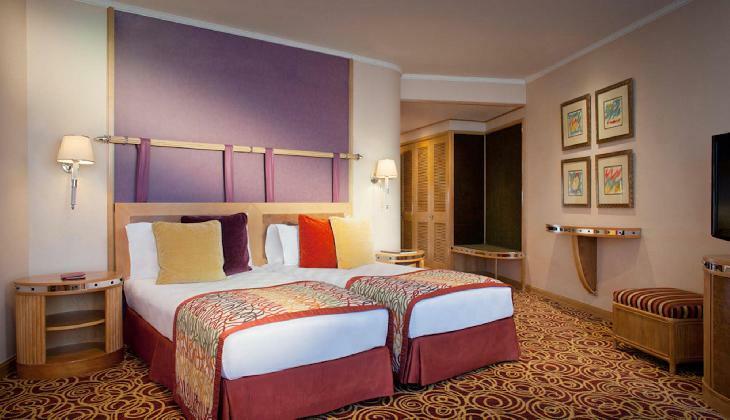 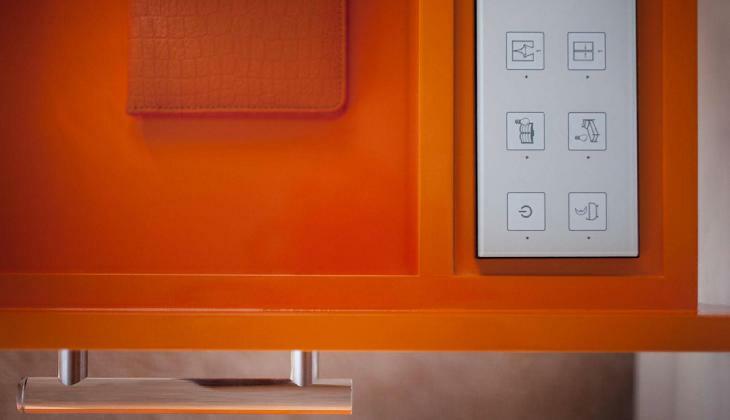 The guests are assured with ultimate luxury and comfort in this sophisticated accommodation. 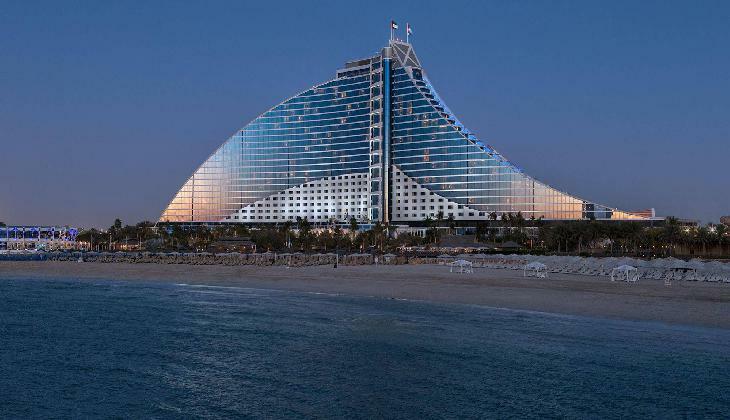 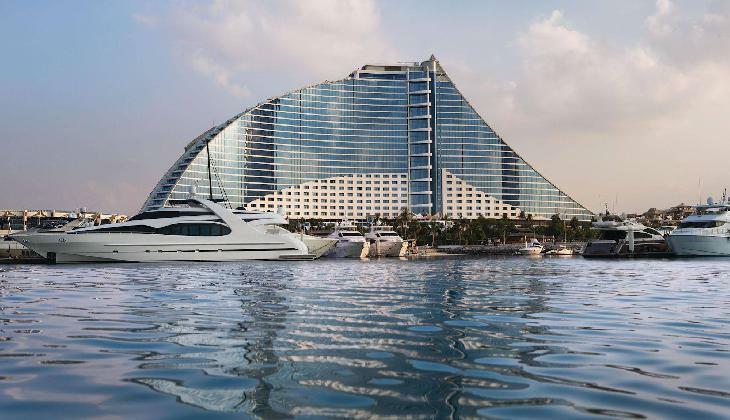 Jumeirah Beach Hotel building is designed in the shape of a breaking wave and the guests visiting the Jumeirah Beach Hotel in Dubai marvel at its architecture. 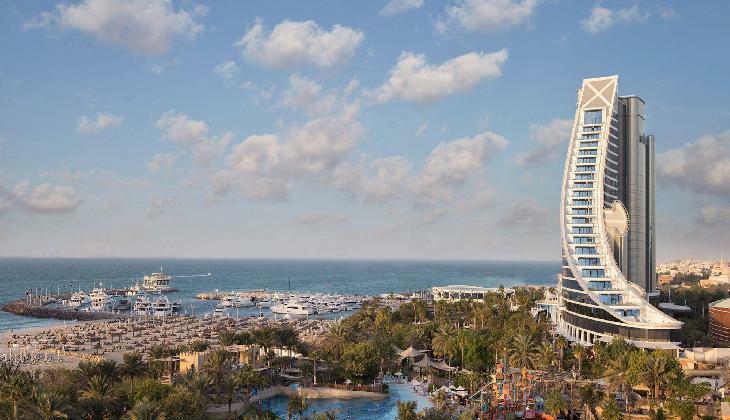 * Please note that from 12th January 2016 until 10th February 2016 essential maintenance works will take place at Wild Wadi Waterpark. 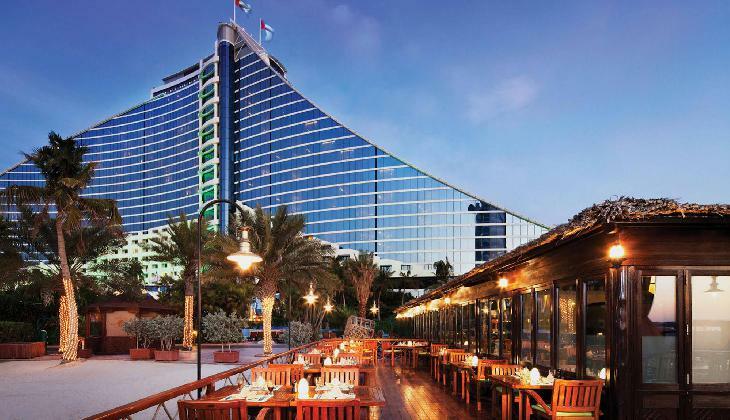 During this period, Wild Wadi Waterpark will remain closed and will be re-open to the public on 11th February 2016.